Anyone can join Urban Swaras Running Club! We’re mixed ability, from absolute beginners to junior elites. We have members who are still finding their feet on a 10km run around town, to those who are placing top ten in international marathons. To join, come along to one of our runs and see if you like it. For information about upcoming runs, see our calendar, news page, or contact us. The way that we operate our runs is by marking routes with chalk. We usually have routes marked between 10km and 35km, at 5km intervals, meaning that you can find the right distance for you, and run it at your own pace. We provide water on route, and our runs always start and finish at a place with secure parking where breakfast is available. Our runs usually start at 0700 exactly, but check our calendar to be certain. If you choose to join us, we pay an annual membership fee of 1,000/-, and a quarterly subscription fee of 1,500/-, totalling 7,000/- per year. 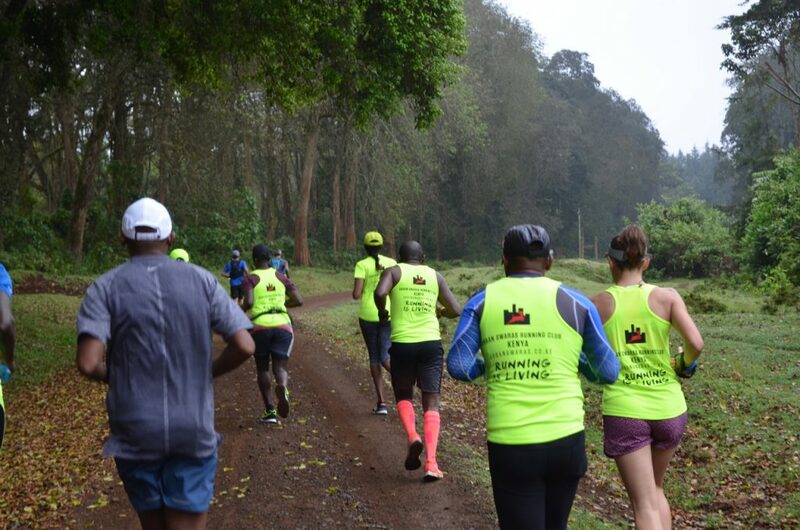 If you don’t choose to join, you can run with us as a guest at a fee of 500/- per run. Note that the venues that we run from provide breakfast for us at a fixed rate, and paying for breakfast is mandatory as it also covers the cost of parking, security and use of their venue. The fees that we collect go towards scouting and marking routes, provision of water and bananas, and organising club events and apparel. Our accounts are very transparent and available for all members to see. We operate a mailing list and WhatsApp group for members, where you will be able to keep in touch with other members, and receive updates about club activities. Feel free to come along and introduce yourself and enjoy a run that may take you to places you’ve never been before!